Recently, OKCHEM South American team have paid visits to many local chemical organizations in Brazil including one of the largest chemical industry associations, ABIQUIM, and the famous universities such as UNESP and IFSP, in order to realize brand cooperation and further localization of OKCHEM. A few days earlier, OKCHEM team met with Cesar Augusto da Costa Lima (the Financial, Personnel & Planning Manager) and Eder da Silva (the Foreign Trade Affairs Manager) of ABIQUIM to discuss the future cooperation details. The discussion includes how to introduce OKCHEM to the association members through offline activities and how to advertise on the chemical magazines that work with the association. In the meeting, both managers agreed to provide various supports to OKCHEM in the future. ABIQUIM has a history of 50 years and currently has 150 members in the chemical industry, including 30 large chemical companies, which accounts for 80% of the sales network in Brazilian chemical industry. The association regularly organizes offline activities and training courses, and in October, they will invite the President of Brazil to attend their conference and there will be about 600 professionals attending this event. 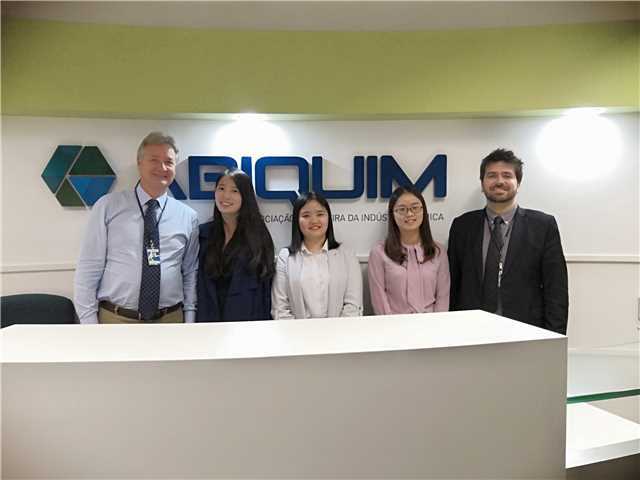 There is no doubt that the cooperation with ABIQUIM will help OKCHEM to further explore the chemical market in South America. 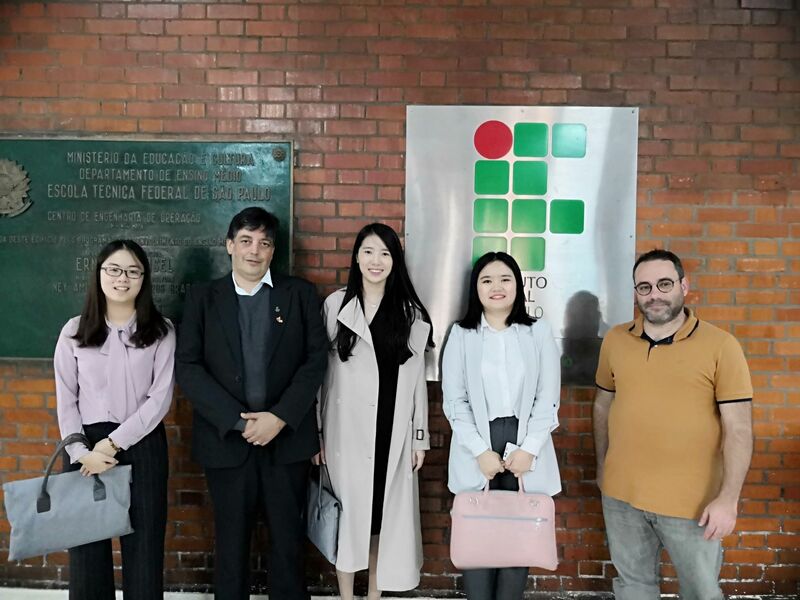 Besides the chemical industry associations, OKCHEM team have also visited the local famous universities IFSP and UNESP which are also related to the chemical industry. We met with Cynthia Regina Fischer, the International Affairs Advisor of IFSP, and Dr. Eduardo Maffud Cilli, director of the Institute of Chemistry of UNSEP. Both of them said that they could provide assistance to our local marketing. As a professional chemical B2B platform, OKCHEM is dedicated to providing the best solutions to both the chemical buyers and suppliers on OKCHEM. With our relentless efforts in the overseas marketing, we are capable to help the buyers source the quality products from every continents on earth, and help the suppliers to sell their featured products to every corner of the world. Having already established eight branch offices overseas, OKCHEM will continue to step into more markets in the near future. With the OKCHEM network spreading around the globe, the chemical buyers and sellers on OKCHEM will get access to the best services and solutions on all aspects of the cross-border trade.